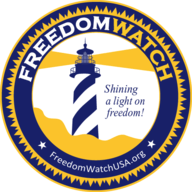 Join Freedom Watch's Class Action Against Google, Facebook, Twitter and Apple! FREEDOM WATCH IS YOUR "JUSTICE DEPARTMENT" AND I AM YOUR "ATTORNEY GENERAL"! WHO ELSE BUT LARRY KLAYMAN CAN OR WOULD TAKE REAL ACTION FOR JUSTICE! LATEST ANTITRUST CASE AGAINST GOOGLE/YOUTUBE, FACEBOOK, TWITTER, APPLE AND INSTAGAM FOR DISCRIMINATION AGAINST CONSERVATIVES IS JUST THE LATEST EXAMPLE! AND OUR CITIZENS' GRAND JURIES TO INDICT MUELLER, HILLARY, COMEY, AND THE REST OF THE CRIMINALS ARE ON THE HORIZON! WE AT FREEDOM WATCH NEED YOUR URGENT AND STRONG SUPPORT TO SUCCEED! You know me as a trial lawyer and former federal prosecutor with 41 years of experience. As the founder of Judicial Watch and now Freedom Watch ("FW") — FW does what I used to do at Judicial Watch ("JW") when I ran it; that is, bring hard hitting cases that seek real justice, not mostly just Freedom of Information Act ("FOIA") document requests as JW mostly does today. For this reason, I have formed an FW "Justice League," which I want you to enlist in and support it. We at FW do not just expose corruption, we try to do something about it and do not rely our corrupt Justice Department, led by our compromised and "do nothing" Attorney General, Jeff Sessions, to get the job done! In this regard, you know me as the only lawyer ever to have a court rule that a sitting president, one William Jefferson "Slick Willy" Clinton, had committed a crime during his and his "lovely wife's" administration. Today, we aggressively continue to press forward on cases to bring the Clintons to justice, such as our wrongful death case against Hillary Clinton for having criminally caused the deaths of our fallen heroes, Tyrone Woods and Sean Smith, at Benghazi. This case is now before the U.S. Supreme Court. We at FW also have on the horizon in the near future, as I have written to you before, our citizens' grand juries, which will indict, try, convict and sentence — with the aim of having the guilty arrested and thrown in prison — the likes of Special Counsel Robert Mueller, former FBI Director James Comey, the FBI lovebirds Peter Strzok and Lisa Page, Bruce Ohr, corrupt intel agency czars of former President Barack Hussein Obama, John Brennan and James Clapper, and yes, even the former Muslim-in-Chief himself, Obama. But we are also faced today with not just rampant criminality on the left and a compromised and do nothing Justice Department under Sessions, but also a major effort — what is in effect a civil war — to take over our beloved country and turn it into a communist-socialist, pro-radical illegal immigrant, pro-radical feminist, pro-radical atheist and pro-radical black and Islamic dictatorship. And, as has become crystal clear in recent days with Obama's outrageous attacks on President Trump, fed by the likes of California unhinged radical black, anti-white and Trump-hating congresswoman Maxine Waters, and the financial backing of ultra-leftist billionaire George Soros, the nation faces a threat from not just the leftist vigilante likes of Black Lives Matter and Antifa, BUT IN PARTICULAR THE RABID, ULTRA-LEFTIST, PRO-DEMOCRAT SOCIAL MEDIA MONOPOLISTS AT GOOGLE/YOUTUBE, FACEBOOK, TWITTER, APPLE AND INSTAGRAM. These social media companies, run by ultra-leftist CEOs like Sundar Pichai of Google/YouTube (who refused to answer questions from our worthless Congress, which of course failed to subpoena him to appear at a recent hearing), the sleazy and unethical Mark Zuckerberg of Facebook, the arrogant Jack Dorsey of Twitter, the socialist Tim Cook of Apple and the compromised Kevin Systrom of Instagram. These evil CEO's are not just bent on enriching themselves and their companies, they intend to greedily increase their huge wealth by having installed "friendly leftist politicians" as president, senators and congressmen not just in our nation's capital but also in your home state and town. This serves a dual purpose: to move the country to the far left and to install so-called leaders to do their bidding and help them preserve their monopolies and enhance profits. During the days leading up to the Declaration of Independence and the ensuing American Revolution, it was the invention of the printing press which was used to mobilize support for the colonial war effort against King George III and the British monarchy. Perversely taking a page if not cue from this historical fact, these leftist social media companies in modern times have and continue to conspire to use their huge platforms to mobilize a war against conservatives, libertarians and people of faith. The goal of this leftist war effort; to enlist masses of anti-Trump and anti-conservatives to wage war on us; in effect to enslave us in a leftist dictatorship! AND THAT IS THE SIMPLE REASON THAT CONSERVATIVES AND PUBLIC FIGURES AND ADVOCATES LIKE YOURS TRULY, MICHAEL SAVAGE, SEAN HANNITY, MARK LEVIN, ALEX JONES, AND THOUSANDS OF OTHERS ARE DISCRIMINATED AGAINST BY THESE SOCIAL MEDIA LEFTISTS, BY LIMITING THE CONTENT THAT CAN BE PUBLISHED AND SEEN ON THEIR SITES. IN SHORT, OUR COMMUNICATIONS ARE CENSORED IN VIOLATION OF OUR FIRST AMENDMENT RIGHTS! With regard to my and FW's experience, and as just one example, Google/YouTube has put a governor, that is a limitation on our ability to expand our subscribers to educate the public and enlist financial and other support, to further not just our hard-hitting cases, investigations and citizens' grand juries designed to land criminals like Mueller, the Clintons, Comey and even Obama in prison, but also to generally mobilize our troops against this war by the left to take over the country and our body politic. The collusion of these ultra-leftist social media companies constitutes an illegal restraint of trade in violation of our antitrust laws, as well as other statutes and the common law. As a former member of the trial team in the Antitrust Division of the Reagan Justice Department that broke up the AT&T monopoly, creating competition in the telecommunications industry, using my considerable experience and legal expertise, I recently filed at FW a class action antitrust case under Section 1 of the Sherman Act. THIS CLASS ACTION, NAMING YOUR FW AS THE LEAD PLAINTIFF, IS NOT ONLY LEGALLY SOUND, IT IS COURAGEOUS. NO ONE BUT LARRY KLAYMAN AND YOUR FW, WHO JUST DO NOT TALK, BUT ACT, WOULD HAVE DONE IT. ASK YOURSELVES, WHERE IS ATTORNEY GENERAL JEFF SESSIONS ANTITRUST DIVISION TODAY, AS WE MUST FIGHT THIS WINNER TAKE ALL WAR BY THE LEFT? AND, WHERE IS CONGRESS, WHICH SIMPLY SPENDS OUR HARD-EARNED TAX PAYER DOLLARS TO HOLD MEANINGLESS "DOG AND PONY SHOW" HEARINGS AND THEN DOES LITTLE TO NOTHING TO FOLLOW THROUGH WITH REAL ACTION? It is no wonder that establishment Republicans are on the brink of losing control of the House of Representatives (and possibly the Senate), resulting in the looming impeachment of President Donald Trump. If this occurs, Nancy Pelosi will then take the helm as speaker, with her vile and anti-white, anti-conservative and radical black colleague Maxine Walters at her side. THIS, PUT CLEARLY, IS WHY YOUR FW AND I FELT DUTY-BOUND TO TAKE REAL ACTION! WITHOUT EQUAL ACCESS TO SOCIAL MEDIA, TO EDUCATE AND INDOCTRINATE THE MASSES IN OUR CONSERVATIVE/LIBERTARIAN IDEOLOGY, AS WELL AS TO SEND A CALL TO LEGAL ARMS TO SAVE THE NATION PEACEFULLY AND LEGALLY THROUGH OUR HARD-HITTING CASES, INVESTIGATIONS AND CITIZENS' GRAND JURIES, THE REPUBLIC WILL GO DOWN FOR THE COUNT FASTER THAN CAN EVER BE IMAGINED! WE WILL THEN BE ENSLAVED BY THE LEFT, AS AYN RAND PREDICTED MANY DECADES AGO IN HER EPIC AND PROPHETIC CLASSIC NOVEL "ATLAS SHRUGGED"! Fellow patriots, friends and supporters, your FW needs your most generous financial support and prayers as we are the last and regrettably the only line of defense to defeat this war by the left, furthered by the social media monopolistic giants and their evil CEO's at Google/YouTube, Facebook, Twitter, Apple and Instagram! WE COLLECTIVELY ARE THE SUPER HEROES OF FW'S JUSTICE LEAGUE THAT WILL DEFEAT THESE LEFIST FORCES, BENT ON TAKING OVER OUR REPUBLIC AS ONE NATION UNDER GOD AND INSTEAD SUBSTITUTING A COMMUNIST/SOCIALIST, RADICAL BLACK AND ISLAMIC, RADICAL FEMINIST, PRO ILLEGAL IMMIGRANT AND RADICAL ATHEIST, GODLESS STATE! YOU AND I, THROUGH FW, ARE THE EQUIVALENT OF DAVID AGAINST GOLIATH AND THAT IS WHY WE NEED TO RAMP UP, HIRE MORE LAWYERS AND SUPPORT STAFF, FILE MORE HARD-HITTING CASES, EMPOWER OUR CITIZENS' GRAND JURIES AND WAGE LEGAL WAR AGAINST THE LEFT! AS IMPORTANT, WE NEED THE RESOUCES TO WIN THIS WAR AND WE MUST LOOK TO YOU, FELLOW PATRIOTIC AMERICANS, TO GENEROUSLY PROVIDE IT WITH TAX-DEDUCTIBLE GIFTS AND CONTRIBUTIONS! I want to thank you from the bottom of my heart for your past strong financial support, but now FW needs it more than ever to save the nation and protect the liberties and freedoms of you and your loved ones. And we need to restore justice for our republic to survive! WE HAVE NO GOVERNMENTAL JUSTICE DEPARTMENT, SO YOUR FW AND I MUST STEP UP TO THE PLATE AND HIT THE HOMERUN FOR ALL OF US! WE AT FW ARE YOUR REAL JUSTICE DEPARTMENT! SO THANK YOU FOR SENDING URGENTLY A GENEROUS TAX-DEDUCTIBLE GIFT AND CONTRIBUTION TO SUPPORT OUR ANTITRUST CLASS ACTION AGAINST GOOGLE AND THE REST OF THE LEFTIST SOCIAL MEDIA, WHICH WILL BE VERY EXPENSIVE TO PROSECUTE BUT WHICH NO ONE ELSE WILL DO, AS WELL TO FINANCIALLY SUPPORT OUR OTHER HARD-HITTING CASES, INVESTIGATIONS AND, YES, OUR CITIZENS' GRAND JURIES TO HAVE MUELLER REMOVED AND IMPRISONED, ALONG WITH THE LIKES OF THE CLINTONS, COMEY AND OBAMA! P.S. TIME IS SHORT FELLOW PATRIOTS, FRIENDS AND SUPPORTERS. TOGETHER, AS THE REAL SUPERHEROES OF FW'S JUSTICE LEAGUE, WE MUST COLLECTIVELEY ACT NOW TO SAVE THE TRUMP PRESIDENCY AND THE NATION FROM AN EVIL TAKOVER BY THE LEFT, SURELY RESULTING IN OUR ENSLAVEMENT! NO ONE ELSE HAS THE GUTS, EXPERTISE AND UNWAVERING UNCOMPROMISED AND UNCOMPROMISING COMMITMENT TO DO IT! WE AT FW NEED YOUR STRONG FINANCIAL SUPPORT NOW! THANK YOU FOR YOUR PATRIOTISM!